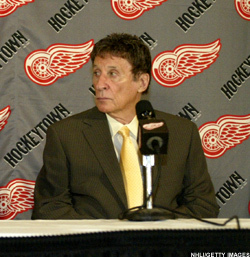 Local multi-millionaire Mike Illitch owns the Detroit Red Wings, the Tigers, Little Caesar’s, and a multitude of properties in downtown Detroit and the Cass Corridor area. He can afford to build FREE housing for the displaced residents. The Cass Corridor, a heavily depressed area that has been neglected by the City government and the business magnates for years, is now the apparent focus for the construction of a new sports stadium. The owners of the Detroit Red Wings may be attempting to take control of sections of the Corridor in order to either gentrify the district or engage in “developments” that will not benefit the interests of the current residents. 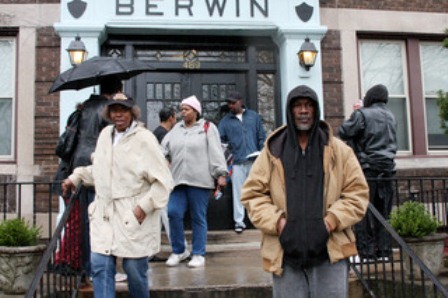 Residents of Cass Corridor Berwin apartment building. 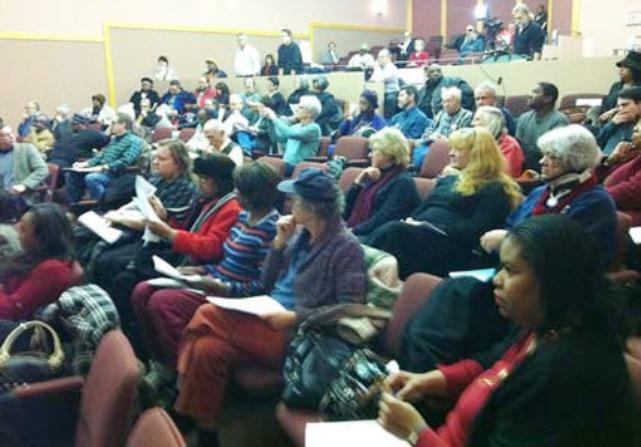 Cass Corridor residents at meeting. These developments are taking place at a time when the federal government and private industry are not building low-income housing. Detroit, which is now under emergency management under the aegis of the banks, is being exploited at an even deeper level than what has prevailed over the last decade. UAW LOCAL 600 HALL 10550 Dix Ave. at Wyoming See map. 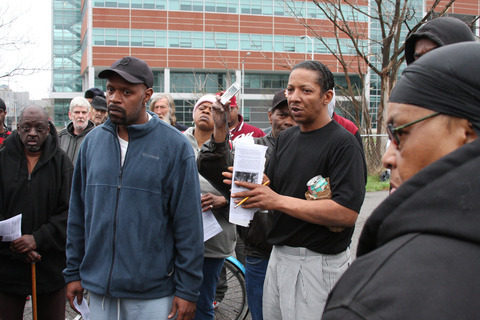 Over 100 people rallied on Feb. 13 against Fannie Mae & Freddie Mac evictions. Now we can give them the message directly! During the bank crisis, the U.S. government took over Fannie Mae and Freddie Mac, two failing companies that insure and buy mortgages from banks. Since then Fannie and Freddie have been relentlessly evicting families who have trouble paying inflated mortgages. 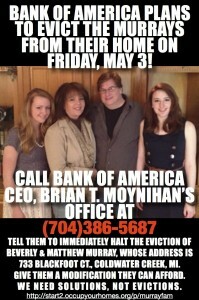 The Feds don’t even grant a hearing to homeowners trying to resist unjust foreclosures and save their homes! Yet the Constitution says the government can’t seize people’s property without ‘due process.’ You’re invited to sign our petition and tell the president to stop caving in to the banks and stop federal agencies from evicting hard-pressed Michigan families. 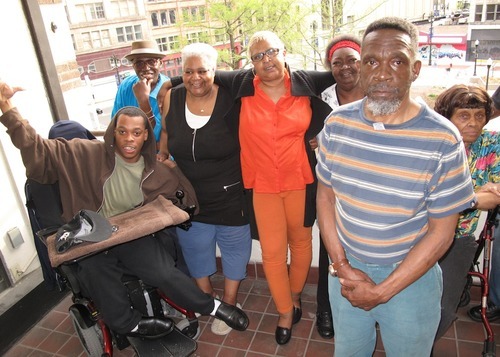 We support a federal court challenge brought on behalf of a disabled Vietnam vet— and all other Michigan families facing Fannie Mae foreclosure — calling for a due-process hearing where people can expose potential bank fraud and predatory lending before foreclosure. The banks that write mortgages engaged in such fraudulent practices that regulators are making them cut the mortgage principal for many families facing foreclosure. But once Fannie and Freddie take over, they refuse to do the same to help people save their homes. 1) Due Process for All: As government agencies, Fannie Mae and Freddie Mac are now governed by the 5th Amendment to the U.S. Constitution, which says that no person shall be “deprived of life, liberty, or property without due process of law.” The case opened Feb. 20 in Detroit. can hear from homeowners at the rally who have successfully resisted. 3) Halt Foreclosures & Evictions: Fannie Mae has declared moratoriums for hurricane victims. The 75,000 Michigan families foreclosed on in the last year are also victims— of mass unemployment and mortgage banking fraud.